To review exactly what is included in the Platinum Flight Package please click here. • We offer one sunrise flight daily, weather permitting. • Due to the nature of this adventure sport the flights are only available to guests age 5 – 80. • Please book early in your stay in case inclement weather creates the need to reschedule your flight. ○ The age and weight of each guest. ○ The name of the Town/City that you will be coming from on the morning of your flight. *Important: On the reservation form there will be a section called “PickUp (Required)”, as a Colorado Springs Region guest, Denver/Front Range guest or a Buena Vista/Canon City/Fairplay Region guest you will select “Meet at the launch site in the South Park Valley”. As a Breckenridge Region guest you have the option to meet us directly at the launch site in the South Park Valley or to meet us at our central meeting place in Breckenridge and take our complimentary ground transportation to and from the launch site. 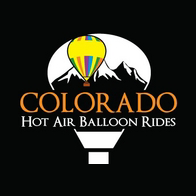 The reservation form will ask you under “Pick Up Required” whether you are planning to meet us directly at the launch site in the South Park Valley or if you are plan to meet us in Breckenridge and take our complimentary transportation on the morning of your flight. If you have questions as to which meet location to choose please call 1-888-468-9280 for further clarification. • Full payment is due at time of booking. • A 3% Admin fee will be added to your total purchase. • Should you need to change or cancel your reservation we require a minimum of 7 days notice. • A full refund will be issued if you cancel your reservation 7 or more days prior to your scheduled flight date. • If we cancel your flight due to inclement weather or insufficient reservations and you are unable to reschedule we will issue a full refund. Once you submit your reservation you will immediately receive an email with a separate confirmation attached to it. The attached confirmation will contain your meet time and directions specific to the Buena Vista/Canon City/Fairplay Region that you will be coming from on the morning of your flight. Please save this email and print your confirmation for future reference. If you do not receive this email immediately after you submit your reservation call our office at 1-888-468-9280.